The AFP has launched an airport tip line where people can report suspicious behavior. 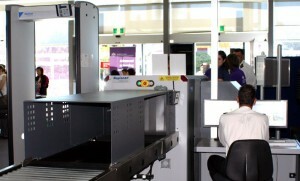 Airport employees and airline passengers are being encouraged to report suspicious behaviour as part of a new Australian Federal Police program. The Airport Watch program, which the AFP likens to a neighbourhood watch, was due to be officially launched at Sydney Airport today and will be rolled out across the country during the next five weeks. The AFP says the program will complement its existing capabilities, which include community policing and counter-terrorist first response capability, air security officers, joint intelligence teams and joint investigation teams, bomb appraisal officers and firearms and explosive detection canines.